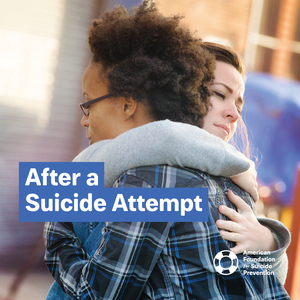 The After a Suicide Attempt Brochure gives those who have just survived an attempt encouraging messages of hope, practical strategies for keeping themselves safe, and important resources to have on hand during their recovery. 6” x 6”. Comes in packs of 25.